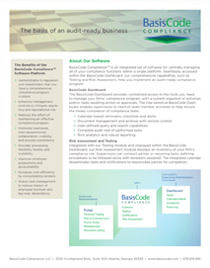 BasisCode Compliance has been tremendous in helping Balentine effectively manage our compliance program. Having calendar testing & results, attestations, and risk assessments centralized makes the job so much easier. Employees are able to view policies documents, submit any form for review or approval, enter gifts and entertainment, and view their outstanding tasks in one place. 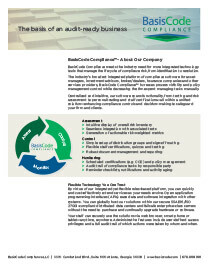 The BasisCode team is very responsive and continues to add functionality with every release. 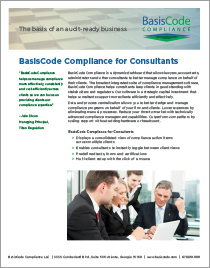 I strongly recommend BasisCode Compliance to Senior Managers who want to streamline the workload associated with Regulatory and Risk Management Programs. BasisCode Compliance’s flexibility has enabled Northwest Asset Management to centralize our custom compliance program and manage Investment Advisor Representatives regulatory requirements while streamlining workflow. Our recent external audit is evidence of the benefits resulting from having a robust platform. We recommend the BasisCode Compliance platform to organizations dealing with the daily challenges of maintaining an effective compliance program.